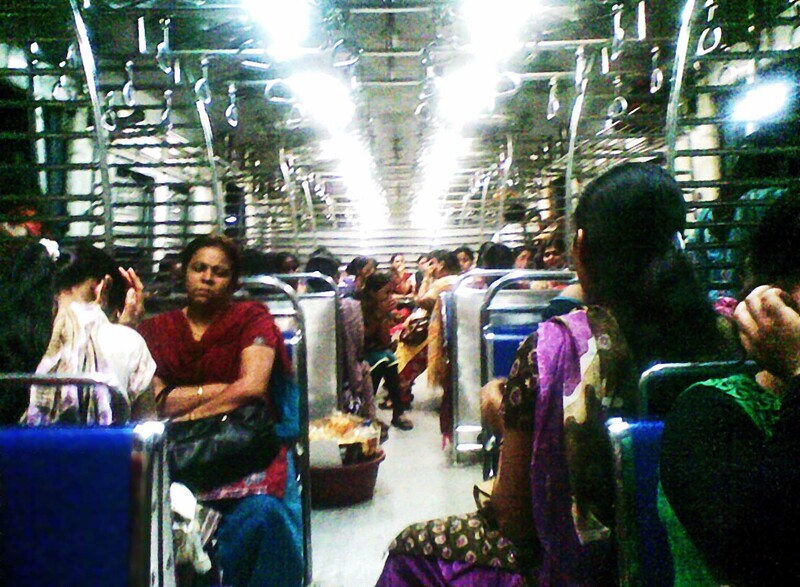 Here are photographs of the inside of a suburban train in Mumbai. 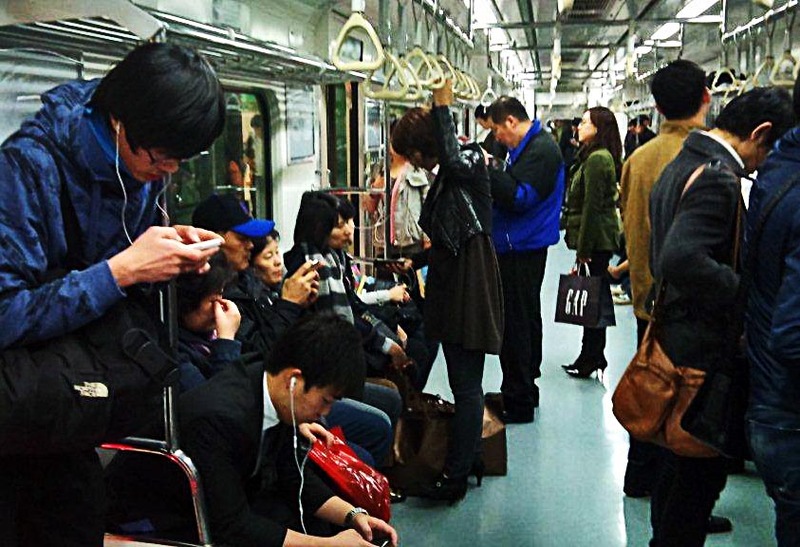 The last photograph is of the inside of a metro or suburban railway in South Korea. This is a ladies compartment in a Mumbai local train, one of the new trains. The picture was clicked with a cell phone. 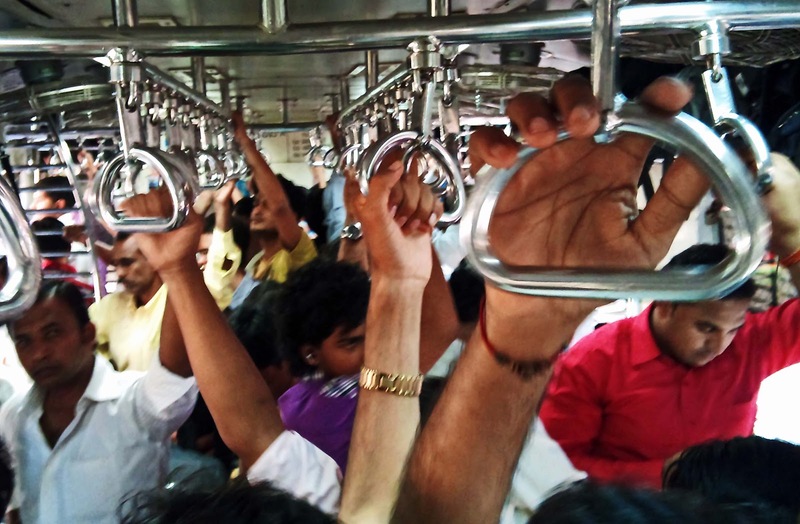 This picture was taken in the men's compartment of a crowded local in Mumbai. The photograph has been taken over the heads of people and depicts the hands clutching the steel handles. This is also one of the new trains of the suburban section. 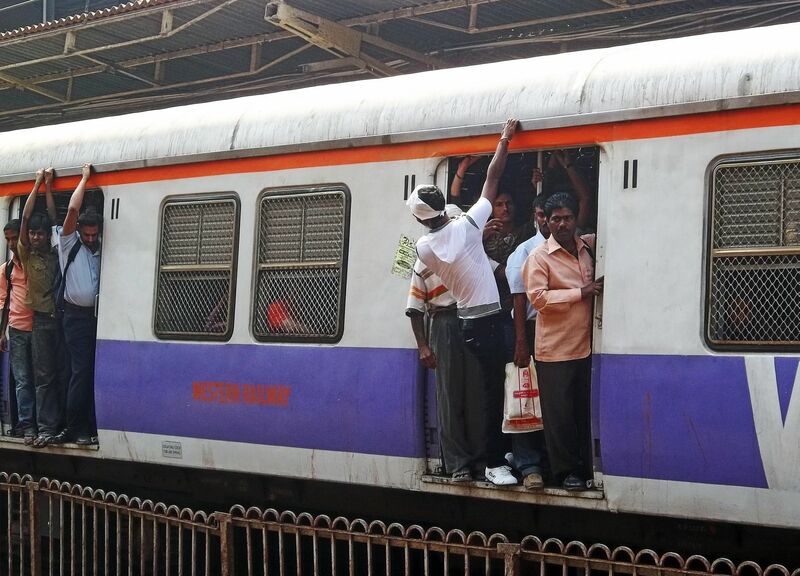 Here is a glimpse of a Mumbai local from the outside. As is the norm, people hang out of the compartment as it is crowded, with not enough space to sit. Note how the windows are completely barricaded with steel mesh. This is to prevent people from throwing stones at commuters. Slum-dwellers who live on the tracks do it. People get injured if they are standing at the exits. This is a subway in South Korea. It is not too crowded although people are standing. Both men and women travel in the same compartment as molestation is rare even if the trains are crowded.